M. J. International are manufacturers and exporters of sports gloves, sports wears. Manufacturer & export business of sports games gloves. 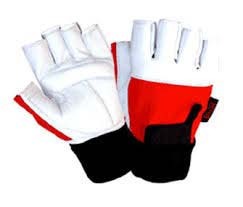 Producing and supplying leather sports gloves that include leather boxing gloves,goal keeper gloves,leather punching gloves,batting gloves and wicket keeping gloves. We are leading manufacturer trader & suppliers of products includes high quality boxing gloves, karate gloves, fighting gloves, head guard, shin guards, straps, focus pads, thai shields, chest protector, punching bags and weight lifting belts, uniforms, karate belts, ninja kung fu shoes, judo uniforms & accessories. Manufacturer and exporter of sports gloves. Engaged in exporter and supplying of restaurant supplies, soft furnishings, packaging materials, building & construction materials, designer carpets, cosmetics and skin care, uniforms, sports equipments & wear, infant & children supplies etc. Manufacturer & exporter of sports gloves. Kay Overseas offers comprehensive range of sporting soft leather goods catering to both-indoor & outdoor games with top class sporting goods such as cricket bating gloves, cricket gloves, boxing gloves, punching gloves, cycling gloves, golf gloves etc. Manufacturers & Exporters of embroidery & embroiders, sports goods etc. Manufacturers and exporters of Boxings Gloves, Semi Contact Gloves, Boxing Mits, Head Guards, Shin Guards, Focus, Floppy Pads, Kick, Thai Shields, Punching Bags, Punching Balls, Elasticated Protections, Body Protectors & Groin Guards, Karate & Boxing Shoes, Thai shorts, Kick Boxing Trousers, Boxing Clothing, etc. Engaged in manufacturer and exporting of sport accessories, sports ball, sports gloves, sports wear etc. 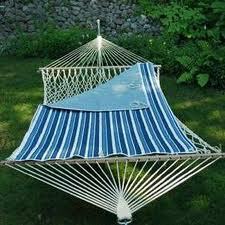 Manufacturing and exporting of sports goods, sports apparels, boxing, marshal arts, textile made ups, gloves, bags, etc. Importer of sports goods, gloves. Jay Export House, one of the leading manufacturer and exporter of sports goods & handicrafts, has made waves in the industry with its quality products such as sports gloves. Manufacturer and exporter of sports gloves such as paint ball gloves, ski gloves, moto cross gloves, winter cycle gloves, cycle gloves. Manufacturer & exporter of sport gloves. We are manufacture and exporters of sports accessories deals with various categories of sports goods & our range are as folows cricket accessories, badminton products, hockey sticks, shuttle, racket, track suits, fitness equipment and more.